John H. Durham, United States Attorney for the District of Connecticut, announced that ARGENYS RODRIGUEZ, 22, of Springfield, Massachusetts, waived his right to be indicted and pleaded guilty today in Hartford federal court to one count of conspiracy to commit bank fraud stemming from an ATM “jackpotting” scheme. 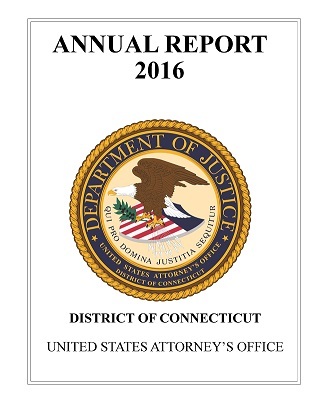 According to court documents and statements made in court, law enforcement agencies and ATM manufacturers have been investigating malware attacks on ATM machines in Connecticut and elsewhere. In a scheme commonly referred to as “jackpotting,” individuals use malware that is designed to cause an ATM to eject all of the U.S. currency contained in the machine. As part of the scheme, individuals dressed as legitimate repair technicians install malware on an ATM. Other individuals then proceed to extract all of the cash from the ATM. This ongoing investigation is being conducted by the Connecticut Financial Crimes Task Force, U.S. Secret Service, Connecticut State Police, Chief State’s Attorney’s Office, Middlesex State’s Attorney’s Office, Cromwell Police Department, Middletown Police Department and Greenwich Police Department. The case is being prosecuted by Assistant U.S. Attorney Ray Miller.